Anybody help me that can iwatch have data SIM card. Don't need smartwatch for now, smartphone and tablet are doing fine for me. Thanks Apple & keep the good work. 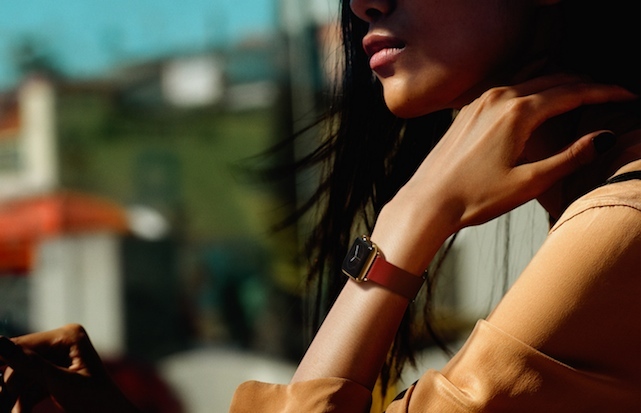 Apple really got most important thing right, make unisex looking smartwatch and it will sell. Anonymous, 11 Dec 2014Best looking smart watch in market,,, just ahead of SONY smart watch!! !Not for me,looks too feminine. ugly !!! is like a cheap quartz clock. thenerd, 11 Dec 2014I have no idea what is so great about this watch? What new features does it bring to the alrea... more"coughs" apple "coughs"
thenerd, 11 Dec 2014I have no idea what is so great about this watch? What new features does it bring to the alrea... moreFirst ios based smart watch . I have no idea what is so great about this watch? What new features does it bring to the already bloated world of Smart Watches?